The situation in the zone of the Donbas conflict remains difficult. Ukrainian troops carry out activities to strengthen defense, restore combat units, repel attacks and neutralize subversive enemy reconnaissance groups. Russian-terrorist troops continue to grossly violate the terms of the ceasefire by firing on the positions of Ukrainian troops. In particular, overnight the positions of Ukrainian troops at the airport in Donetsk were shelled three times. The shelling was carried out with mortars. Of MLRS BM-21 Grad security forces fired at positions near Verkhnya Krynka [Donetsk Oblast]. The shelling was carried out from the direction of Hartsyzsk. Mortars were fired at a checkpoint near Maloorlovka. A stronghold near Krasnohorivka was fired on using cannon artillery. 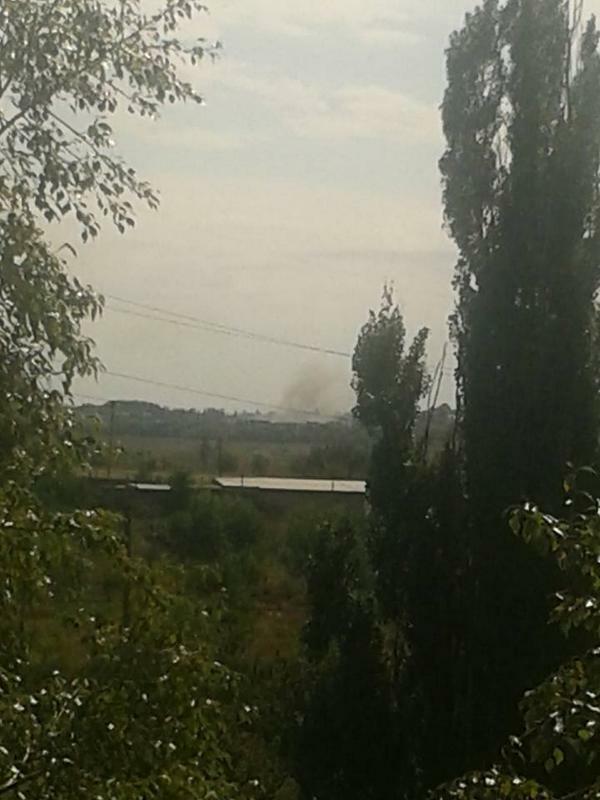 Grad shelling of Donetsk. Photo source. 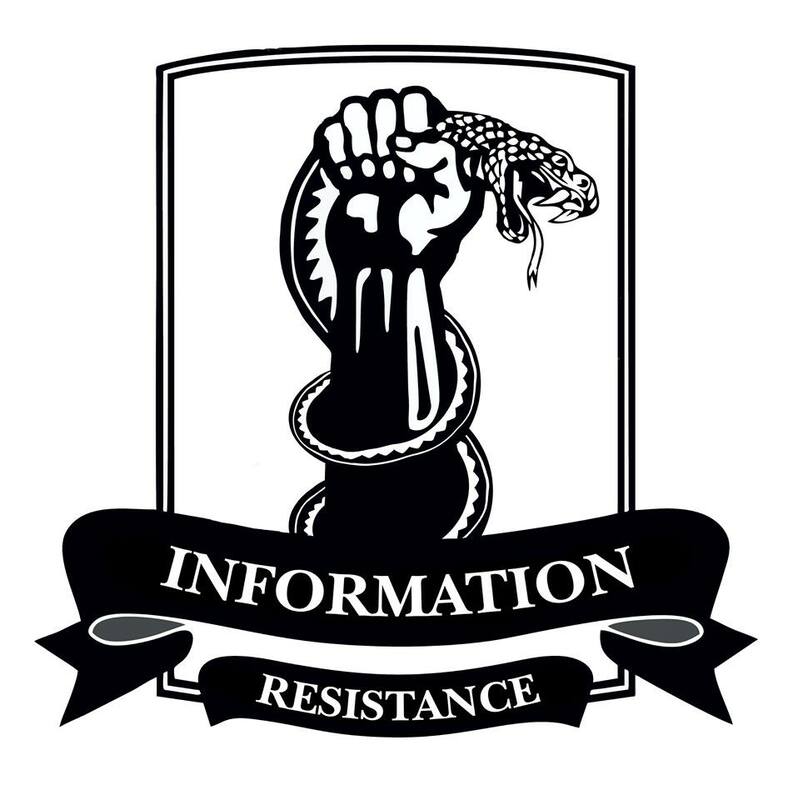 According to Information Resistance operational data, in some areas of Donetsk region the terrorists are conducting a regrouping of their forces. Concurrently, there is a gradual withdrawal of Russian troops to the territory of the Russian Federation. However, on Ukrainian territory remain instructors amongst whom are regular staff officers of the Russian army, who are engaged in the preparation of groups of local militants. In particular, in the area of Telmanove (Donetsk region), there is a marked concentration of militants totaling up to 1,000 people, with whom the Russian military carries out daily activities. Also noted is an accumulation of armored vehicles. In the area of ​​Bezymenne (Novoazovsk district, Donetsk Oblast/region) there has been noted activity of the Russian-terrorist troops. Throughout the day yesterday, at least 10 tanks were transferred from the Russian Federation. In the same district, within three days, a complex electronic surveillance system was fixed onto an enemy minivan, an unmarked Volkswagen T5, to lead the intelligence exploration of Ukrainian troop positions in the area of Mariupol. Also, about 20 Russian tanks were deployed in the area of Rosa Luxembourg (Novoazovsk district, Donetsk Oblast). According to the operational data of Information Resistance, the Russian-terrorist troops are preparing armed provocations to disrupt the “truce” announced at the signing of the Minsk protocol. In particular, according to our data, the terrorists have planned attacks on Donetsk using an MLRS Grad in order to blame it on Ukrainian troops. Currently, there is movement of two MLRS BM-21 Grad units, which can be used in the framework of this plan, recorded in the area of Elenovka. Since the beginning of the ceasefire, Ukrainian troops have respected the truce, opening fire only in case of an attack on their position. In this, Ukrainian subdivisions used only small arms. Artillery (including rocket) and aircraft are not used. This entry was posted in Dmitry Tymchuk, English, English News, South&Eastern Ukraine, War in Donbas and tagged #ArmUkraine, #RussiaInvadedUkraine, #RussiaViolatedCeasefire, #SaveUkraine, #UkraineUnderAttack, Dmitry Tymchuk, Information Resistance, Ukraine. Bookmark the permalink. I would appreciate a thorough report about Lugansk – to include military, economic, business and general social information.